We love it when a client gets to enjoy the fruits of their labour, so when Mike Adams told us he’d had a good trip to Geyikbayiri in Turkey we couldn’t help but ask him for a few more details! What were the main events of the trip? There were two big achievements during my trip to Geyikbayiri, the first was stepping my onsight grade up to what some would call appropriate for my strength and the second was increasing my “in a day” grade to the same sort of level. Before Geyikbayiri 2018 my onsight grade was down at 7a+ which, while nothing to turn my nose up at, was definitely far below what I and most others thought I was capable of, this trip changed that. On only my second climbing day I managed to onsight my first 7b, on the third I onsighted my first 7b+. Over the next few days I slowed down but still managed some good sends. 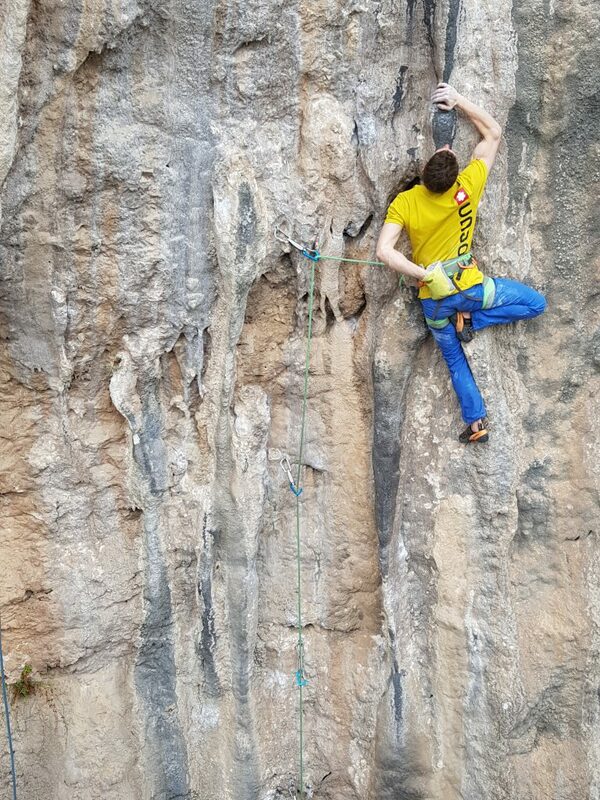 On what was the eighth climbing day I then managed to onsight No Money No Dance – 7c at Trebenna East, clipping the chains at the end of this fight was easily one of my best climbing experiences! My second big achievement was managing to send 8a in a day, which although I had set as a “soft goal”, I did not hold much hope of achieving. On my penultimate climbing day we went back to a crag we had been to previously that had an almost vertical, technical 8a. On my first attempt I took the time to work through every move as methodically as I could, resting whenever I needed to so as to get the best idea of how hard each move was. The first attempt was very successful as I managed to get a very good grasp of all the beta on the route but I came down quite pumped and had didn’t have high hopes of sending. After the first attempt I rested for a long time, trying as best I could to relax from the pump I had worked up. On my second attempt I had very low expectations as I still didn’t feel completely rested but was sure it was as good as it would get because it had been over an hour. Before I knew it I was at the top with my arms up in the air, a massive smile on my face and the send in the bag! As it turns out the low expectations were a huge part of my success as they allowed me to relax and really enjoy the climbing. 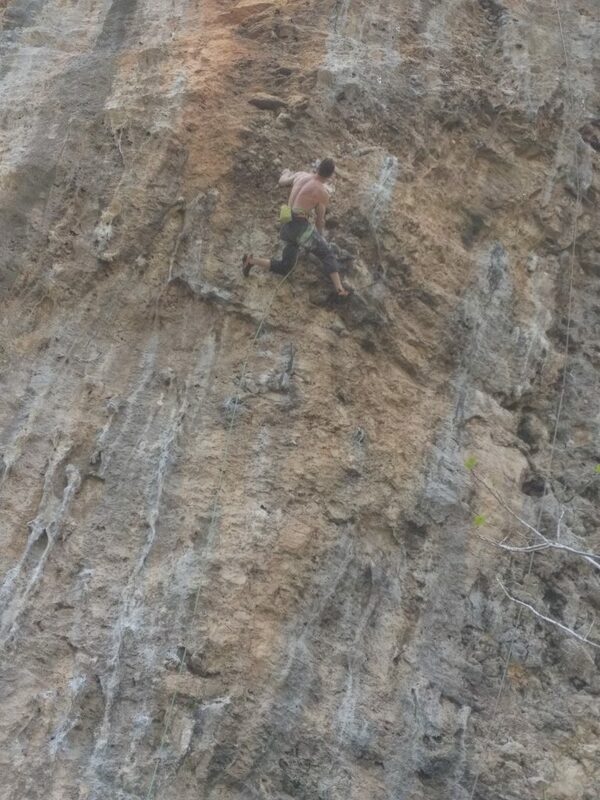 With no pressure the send was mine, No More Mr Nice Guy – 8a at Echoes!!!! 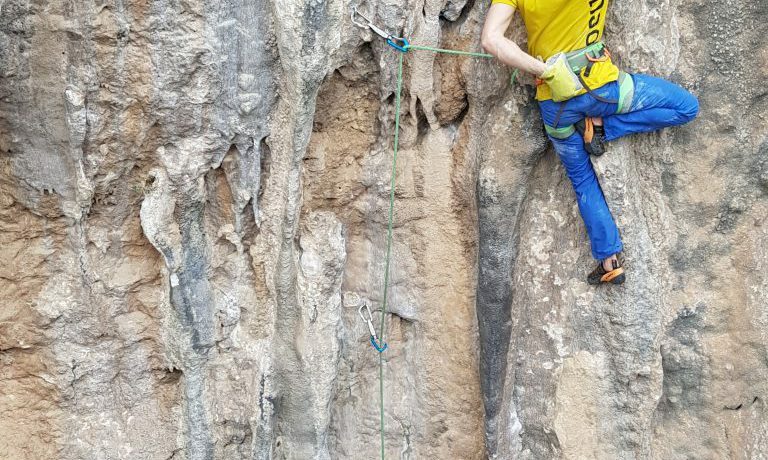 Then to top the trip off, 24 hours later on the very last climbing day, I sent my second 8a in a day with almost exactly the same method, though it required a third attempt, Flat Rate – 8a at Sarkit. Do you think climbing your first 8a in 2017 helped break down some psychological barriers? The big change was and is how relaxed I feel now that the barrier has been broken. Before climbing my first 8a I was constantly told that 8a or even 8b was well within my grasp which would stress me out whenever I tried to climb anything in the 8s. Once I climbed The Sissy at Rubicon, it became the vindication I needed to feel strong (for myself). Immediately this vindication let me pull harder and trust my own ability, I then only 4 days later climbed my second 8a. What do I hope to achieve moving forward? 8b then 8c then 9a etc! I’ve never had specific goals, I’ve always trained hard and climbed with one idea, I want to be better tomorrow than I was yesterday. Thanks for taking the time to chat Michael, looking forward to hearing about what you get up to next!